When we chose ‘Festive Favourites’ as the theme for our December Sweet Adventures Blog Hop, the first thing that came to mind was ‘how on earth am I expected to choose just one favourite dessert from the raft of holiday celebratory sweets that are out there’? It just isn’t fair to all the others! But I managed [ha!] 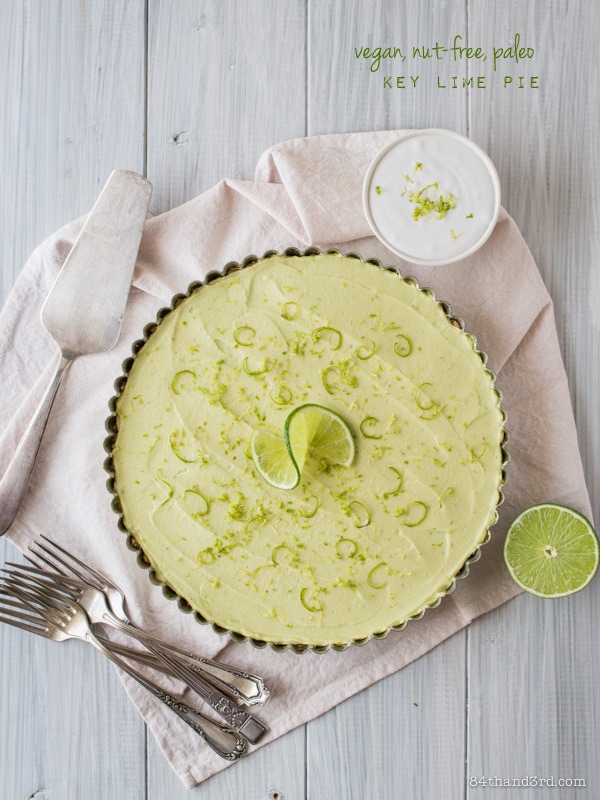 and if you’re busy baking your way through December as well, make sure to join the SABH and link up your Festive Fav Dessert at the bottom of this post. You can also read more about the hop and the hostesses here. Now, I must mention up front that in my family we do 2 things really well… we talk over top of one another – each participating in at least 3 conversations at once, all at top volume… and we eat. Blame it on the olive oil running through our veins, or something like that. We are also pretty good at welcoming newcomers with open arms – as long as they are open to participating in both activities. There have been a few quiet ones join our ranks over the years… but provided they enjoy the eating bit, the lack of boisterous conversation is forgiven and the rest of us simply crank it up a notch to accommodate [Italian per-capita noise allowance and all]. Being as I’ve recently covered off two of my top 10 holiday desserts – Pumpkin Pie and Gingerbread – I wanted to choose something that wasn’t in the Pie or Cookie categories to share. Enter the Cranberry Bar. This little gem was introduced to our family by one of the ‘newcomers’ many, many years ago and was immediately embraced and demanded for both Thanksgiving and Christmas. To switch gears ever so slightly [digression? me? no way], I used to be really good at Christmas presents. I would pick up things through the year, tucking them away for special occasions and such. Putting together hamper-esque packages and stuffing stockings with lots of little bits and pieces. But these days time just seems to get away and the same way the thank you cards never get sent, the presents sometimes don’t even get bought – shameful, I know. Then last weekend I read an article about the overwhelming nature of Christmas in recent years and one line in particular stood out to me: ‘Sometimes the best present is just to be present‘. A note from my aunt when she was kind enough to send the original recipe for these bars said that each time she reads my blog it is like having a little visit, and it made me think about that whole present situation. There are a few thousand miles in the way of physically being with my family during Christmas but I realised [with a full helping of modesty for a change] that these posts and recipes and pictures and stories are my gift, my hello, my present to the people I know and love and miss every day. So with out further ado I give you Cranberry Bars – ‘adapted’ per usual within an inch of their gooey goodness to suit my pantry staples and how we eat but still lovely and a perfect addition to the Christmas dessert tray – or you know, breakfast. I can’t wait to see all of the other festive deliciousness from the SABH participants! Make sure to click through to the other linked posts below and share the holiday love. Adapted generously from a recipe given to me by my aunt who got it from her sister’s 90 year old mother-in-law. In other words this is vintage, people. Vintage. Preheat oven to 325 degrees, grease a 9×13″ glass or ceramic baking dish with a bit of the coconut oil. 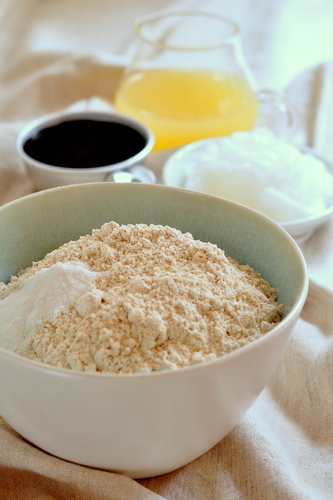 In a large bowl, mix together oil through eggs. Stir in dry ingredients and combine well. Fold in cranberries. You can either stir through the walnuts now or sprinkle them over the top of the batter once in the pan. Spread batter into prepared pan and bake for 50-60 minutes until golden brown and just firm. Let cool completely in pan before cutting and removing with a small spatula. Extra Virgin Coconut Oil replaces the butter used in the original recipe. Give it a try! Apple Juice Concentrate – the bars will still be a bit tart with the amount of concentrate that is used but I like them that way. If you want a sweeter bar, add an extra Tbsp or two of concentrate. You can of course substitute honey or agave. Both will make the bar a bit sweeter than the same quantity of apple. 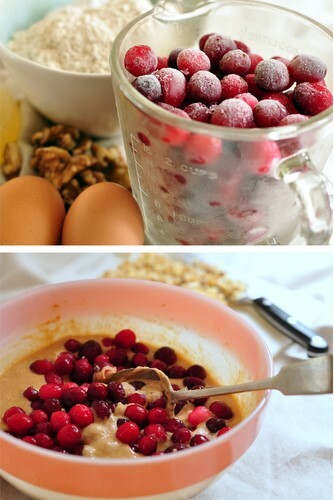 Cranberries – keep them whole! If using frozen instead of fresh [you know, because you live in a country where they don’t have fresh ones, grr] thaw slightly by rinsing with water and allowing to drain. The SABH is brought to you by Delicieux, The Hungry Australian, Dining With a Stud, The Capers of the Kitchen Crusader, and myself, 84th & 3rd. This blog hop is open to all food bloggers. Please only link-up new posts published on or after this link went live – 19 December 2011 Australian Eastern Standard Time. IMPORTANT – Please read the instructions below, they explain how to link up and how to get the hop to appear on your post. If you aren’t sure of something leave a comment or send me an email and I will help where I can. Click here for the Link Code – Grab the code and add it to the bottom of your Festive Faves post, you will need to do this in HTML view. * Adding the code will create the thumbnail link list on your post so people can hop from one entry to the next! * REMEMBER – if you are on wordpress.com [not self hosted] the list will not show on your blog, please create a text link back to this post so others can hop through the entries! Grab the SABH Festive Faves badge and add it to your post – you can get it at the top of this post or from the Announcement page. * Just right click on the image, ‘save as’, upload to your site and add it to your Festive Faves post. * Link the badge or a line of text to the hostess post [that’s this page here] so that others can view the instructions on how to join. Click here to Enter the Hop – This is the really important bit! The badge and thumbnail list are on your post, make sure to enter the hop so you appear in the list. * On the entry screen, please add the link to your Festive Favourites Post [not your homepage]. * When asked for ‘your name’ please enter your blog name, not your name. * Your entry will be submitted when you click ‘crop’ on your photo. PLEASE NOTE – your linked post WILL NOT appear straight away in the blog hop thumbnail list. To combat spam this is a moderated hop. Your post will be visible in the list after approved. Entries are approved in the order they are submitted during waking hours in Sydney. A girl needs to get her beauty sleep. If you are on Twitter use the #SABH to tell the world about your Festive Faves post and follow us @SweetAdvBlogHop for new hop announcement and general deliciousness. Happy Hopping! I think it’s adorable that your family feel that reading your blog is like a visit. Having lived away from my family for so many years, I know how important it is to have that connection. I’m sure they love reading about what you get up to in the kitchen etc, as do we all! Cranberries. They just scream Christmas, don’t they! Love your recipes and your blog. Thanks so much for hosting this event. Ta! Glad you could join us – your cherry cake is so festive! I think I’ve submitted my link! Let me know if you got it and I’ll resubmit if not! The cranberry bars look delicious. My tummy’s rumbling now!!! Yum JJ!!! Your bars look fantastic and I love that they contain fresh cranberries too!! I’ve been keeping an eye out for fresh cranberries but haven’t spotted any up here. I know what your Aunt means about each time she visits your blog it’s like visiting you. My Mum does the same thing as she lives in Tasmania, in fact as do all my family, so they stay in touch with what I am up to via my blog. I think it’s a fantastic because even if you can’t actually share bites of the food we make we can share them visually. Hi Shellie – all good and linked up, thanks for joining! I never thought of that aspect of my blog. You are so right. My uncle in Spain reads mine every day and always knows what’s going on in our lives. You’ve just added yet another reason to list of why I love blogging. 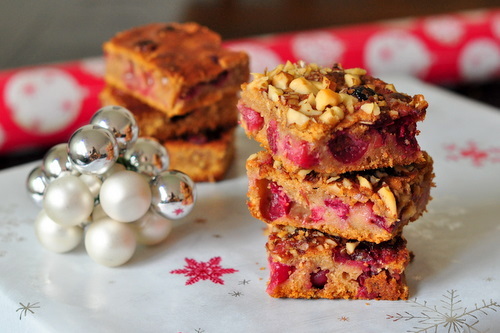 Your cranberry bars look fabulous and so very festive. I would love to be part of one of your family get-togethers. Eating and talking are two of my favourite things. Wow they look great, very seasonal well done. Another great blog hop! Thanks for hosting. Those cranberry bars look fab. 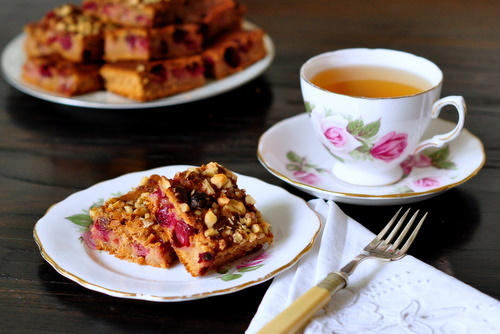 Beautiful cranberry bars, thanks for sharing! What a lovely treat. I like it how there are many textures involved. I cant believe I hadn’t used Cranberries in my Christmas baking until a couple of years ago! 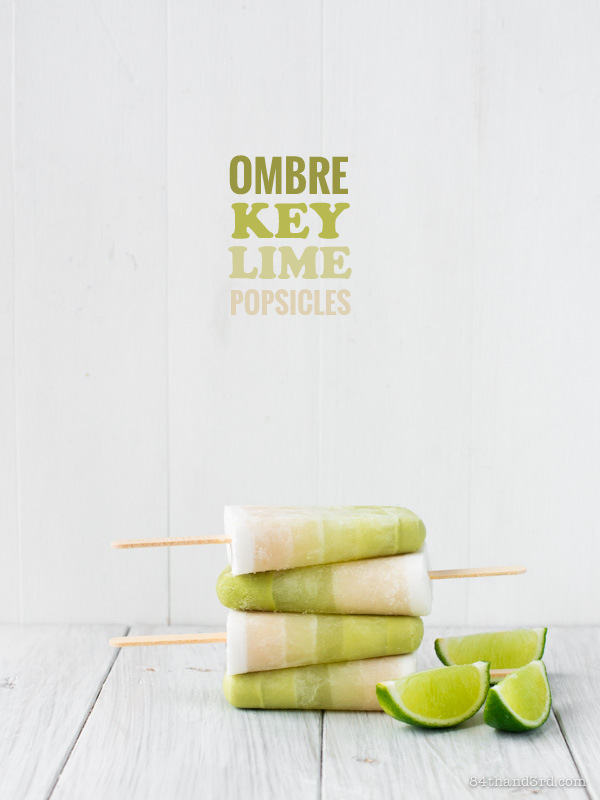 Don’t know how I managed without them, I can’t wait to try this recipe, it looks beautiful! 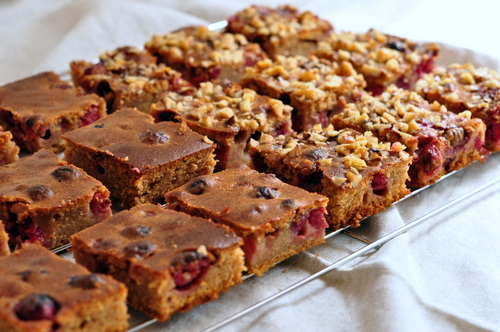 your cranberry bars looks delicious – think it be perfect to bring as snacks and also gifts! I’m new to blog hopping but so pleased I’ve joined in this year – it’s so much fun discovering all these awesome new blogs! Your cranberry bars look divine. Yum! L.O.V.E the styling, JJ! WOW. And these sound totally delicious. Thanks for hosting the hop! 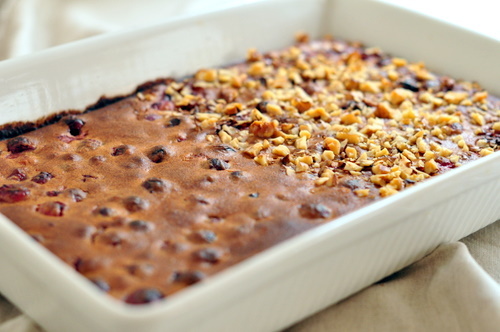 These cranberry bars look delicious! 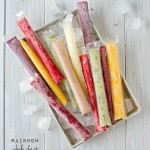 Thanks for hosting this great blog hop JJ, can’t wait to see what the next one is. I love the combination of cranberries and nuts although my kids would appreciate the non-nuts version. Looks delicious both ways! Thanks for hosting the blog hop! I have really enjoyed making a dessert (that’s a big call for someone whose 85/90 posts are savoury!) and look forward to participating in more blog hops. It’s also really good to discover and read more blogs. There’s just not enough time in the day to read them all! Roll on January blog hop! 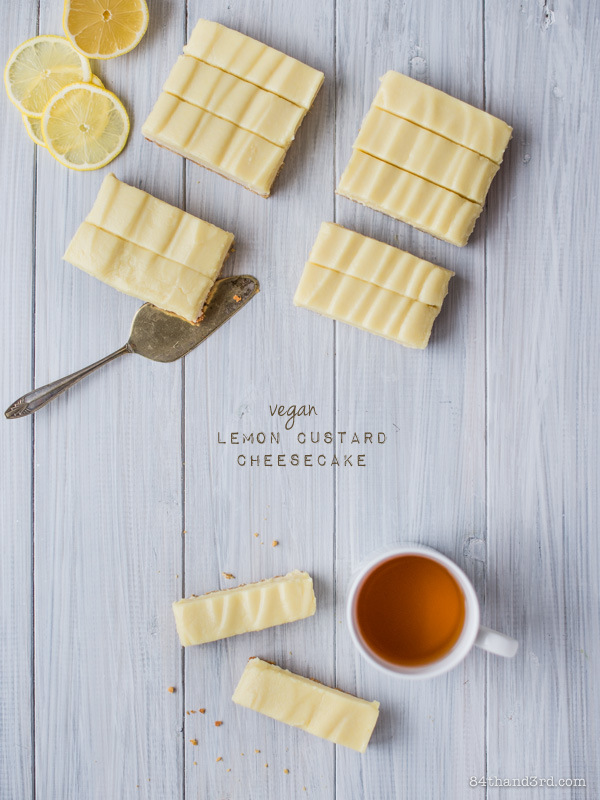 After reading ultra complicated recipes for how to make sweet treats more body-friendly your simple recipe looks great! I will have to try it, but i’m not sure if I can go straight for the apple concentrate, I might need to start with honey and take baby steps 😛 I think cranberries are so festive but i’m not sure where to get fresh or frozen ones here in oz, perhaps I haven’t looked hard enough yet? The cranberries look gorgeous! Merry Christmas and thanks for hosting the blog hop! devices such as a toothpick which you will lose then have to go discover more toothpicks. Be prepared to poke yourself in unanticipated locations with lost toothpicks (particularly those ones on the floor). alter the drawers. This occurred to me with a less costly cabinet. a college student and didn’t have funds for another furniture piece. 4. I dis-advocate socks or other knit clothing products as packing material. While they are soft, socks around large glasses extend them out. This is fine if you are a man with huge feet, however women socks will end up being unwearable. Likewise, you wish to make sure whatever you wrap your socks or other knitwear around is tidy. for days after the relocation (I think she should have made him do it). 5. I absolutely advocate taking a photo of the back of your TELEVISION, and possibly drawing a diagram of it too. lot easier. I discovered that lesson the hard way. 6. There is a factor you load books in the SMALL boxes. Like clothes, they are heavy. Packing them in travel suitcases only works if you utilize a small suitcase. you can just proceed flat surfaces and with an elevator. Hi t?ere! Thi? blog post couldn’t be ?ritten mu?h bett?r! ?ooking at this post reminds m? of my p?evious roommate! ?e constantly kept talking ab?ut thi?. I will forward t?is article t? him. Fairly cert?in h? ?ill have a ?reat rea?. I appreciat? you for sharing!